iFEMPOWER aims to empower female students at higher education institutions in the field of entpreneurship. iFEMPOWER is a complex project led by HÉTFA Research Institute funded by the Erasmus + programme. 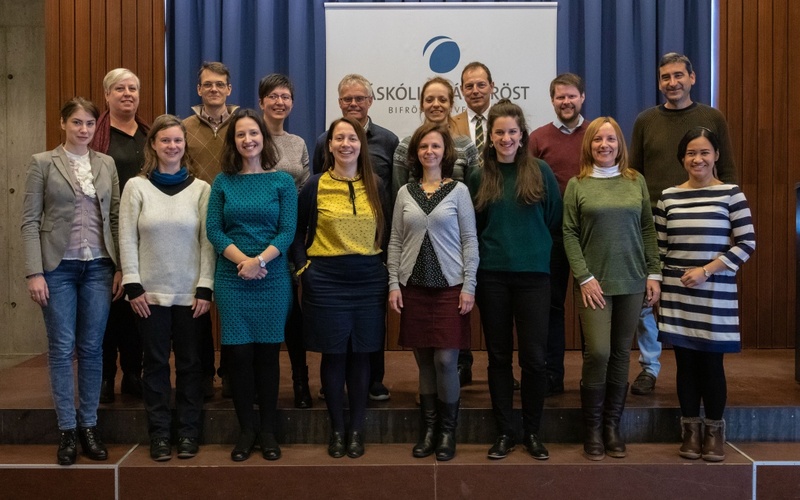 The 2nd transnational meeting of the project took place on the 20th and 21st March 2019 in Bifröst, Iceland, hosted by Bifröst University. The main aim of the meeting was to discuss the first half year’s project achievements as well as upcoming steps within the partnership. Since the kick-off in September, an in-depth research was carried out focusing on female entrepreneurs in each partner country (Austria, Romania, Germany, Hungary, Iceland, Spain and Portugal). The prepared research report is based on personal interviews and focus groups. The main results were presented at the meeting by the output leader, Réka Geambasu, senior research fellow of HÉTFA. The most important aim of this report is to provide an empirical input for university courses and training material to be developed by the project. Therefore, the partnership had brainstorming about the finalization of the curriculum, the teaching material and the mentorship program. All of these outputs are to support and enable young female students to start their own businesses so that they are already aware of most of the relevant obstacles & challenges and ready to formulate strategies to overcome them. iFEMPOWER faces the next important milestone in September in Seville, where, among others, a multiplier event will be organized to present and disseminate the project for stakeholders. The event will also provide platform to initiate stakeholders’ engagement through workshops launching discussion on the developed materials, including the research report, the international curriculum and the teaching material. Stay tuned if you are interested! In case you have any question or idea how to build synergies, do not hesitate to contact us via the project website or internationaloffice@hetfa.hu.